Been a couple of months since I’ve posted. Basically been working or driving since then, so it’s about time I jump back in and start showing off my new toy, and a whole bunch of upgrades I’ve done so far. Actually now that I think of it, I’ve done rather a lot so will keep adding more posts when I find time. ...I took delivery mid June and had the usual big reveal at the dealership. Got the dealer to paint the canards and wing mirror caps gloss black to match the front grills prior to collection. 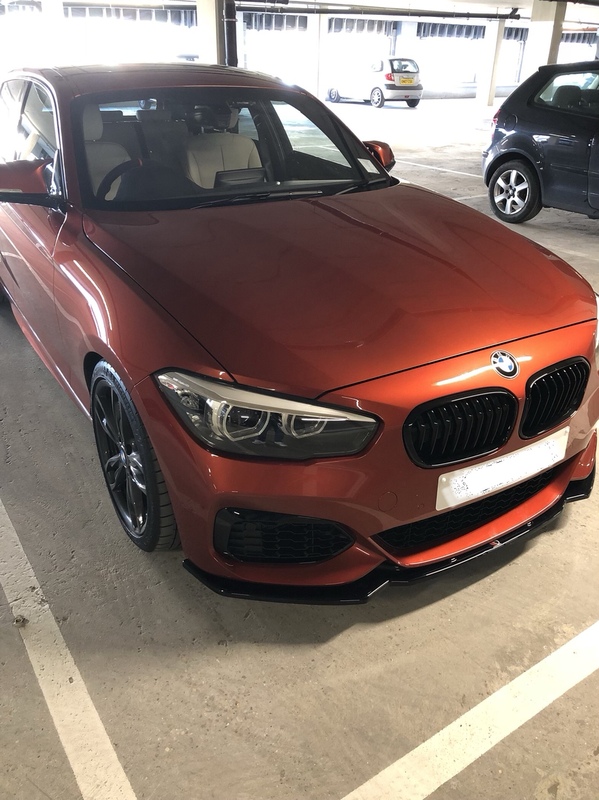 Other than that, it is a stock 5 door Shadow Edition M140i in Sunset Orange with most of the option boxes ticked. ZF8 and adaptive of course! 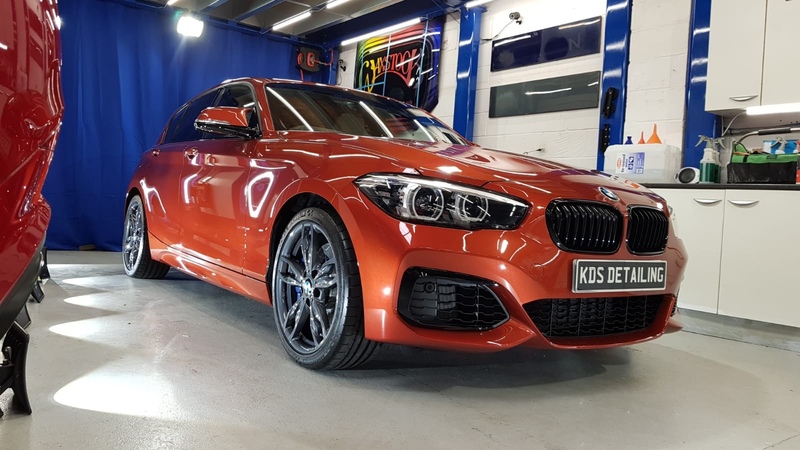 Post collection I had it to myself for a few days before it’s appointment at KDS Keltic for ceramic paint protection. This gave me some time to get some cosmetic enhancements done inside and out. 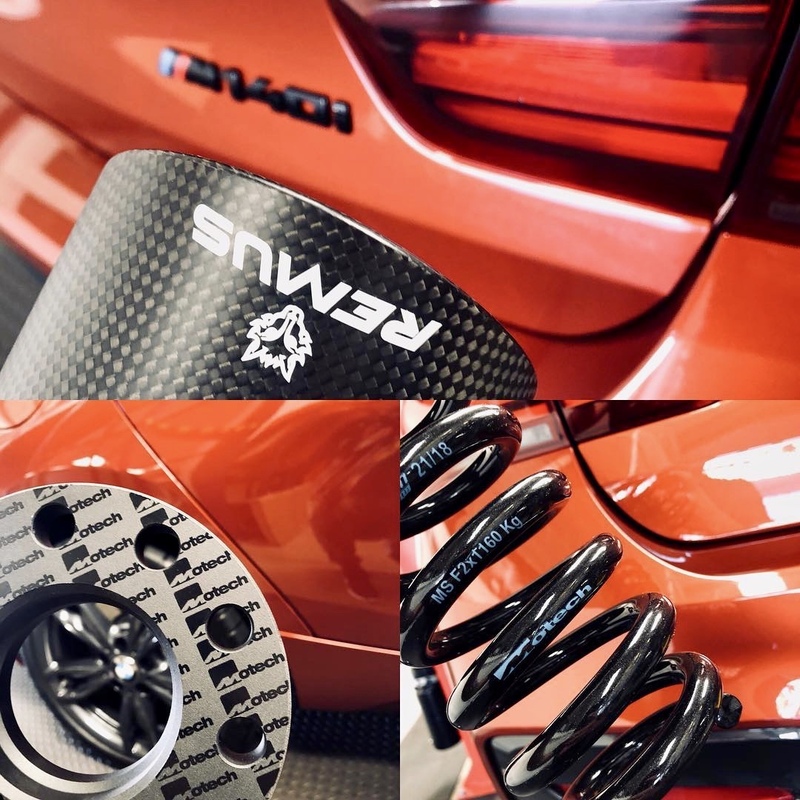 Prior to collection, Cotswold BMW had sent me the Carbon and Alcantara steering wheel and the carbon gear selector plus Alcantara surround. I also ordered some replacement badges and emblems on the internet. 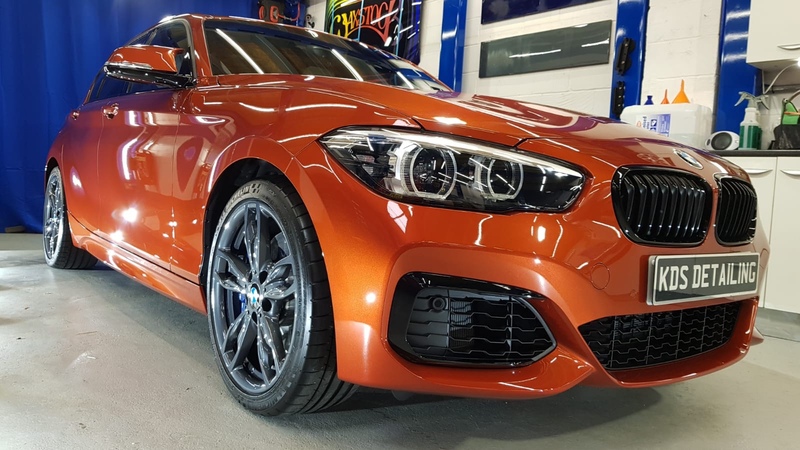 I wanted to loose the traditional BMW blue and white colour scheme and have a more stealthy look in black and white carbon effect, keeping the orange and black theme going. Due to the car’s value and the growing list of intended mods, my insurers wanted me to have a tracker installed, so this was next on the list along with a dash cam upgrade. 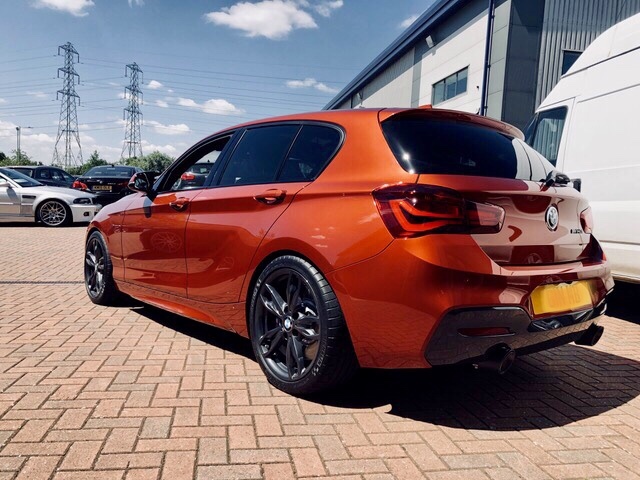 I went for the BMW Trackstar as it receives loads of recommendations from other owners and it has an iPhone app that allows you to locate your car at any time. Only took out a 1 year subscription as I’m never normally with the same insurer two years on the trot and I may not need to have a subscription after next years renewal. 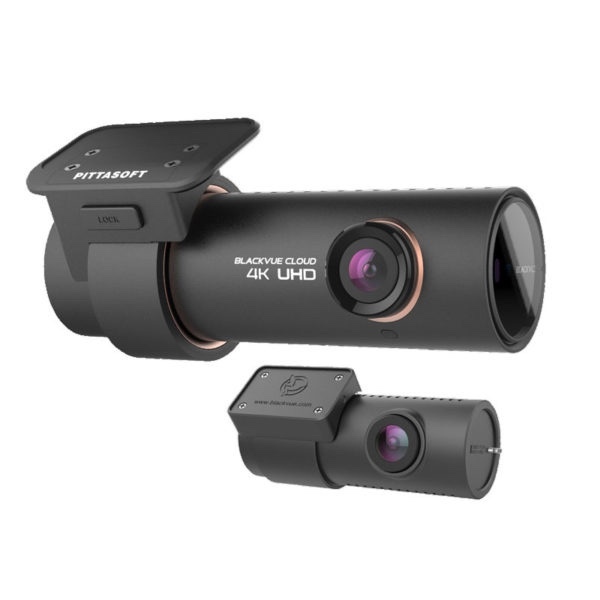 I previously had a BlackVue front only dash cam in my last M-Lite, so went for a new front and rear in this one. 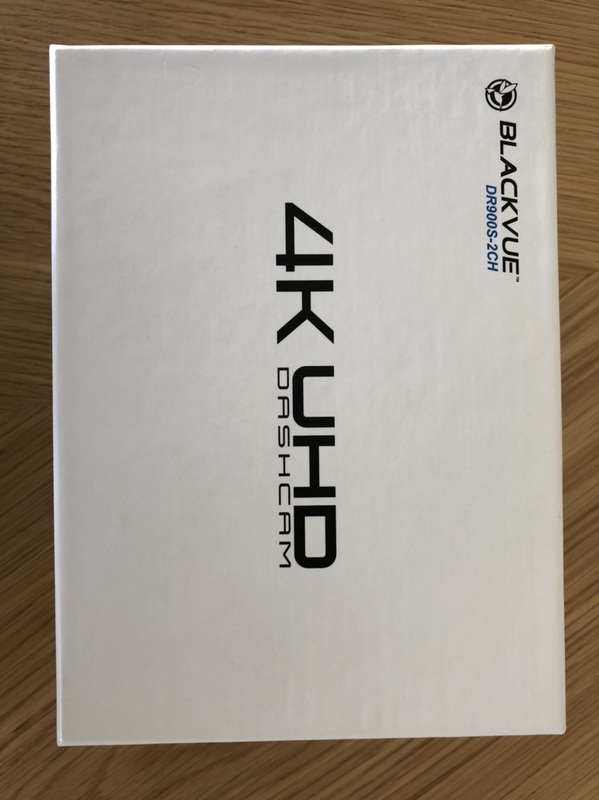 I stuck with Blackvue once again mainly because I know all their settings and find them to be pretty neat once installed discretely, besides they allow you to view camera footage over Wi-Fi to a smart phone. This is very convenient for both the initial setup and to check recordings at any time. I went for a pro install this time with battery backup and hardwiring. The kit I went for is the new DR9000s with an upgraded 128GB Micro SD card. 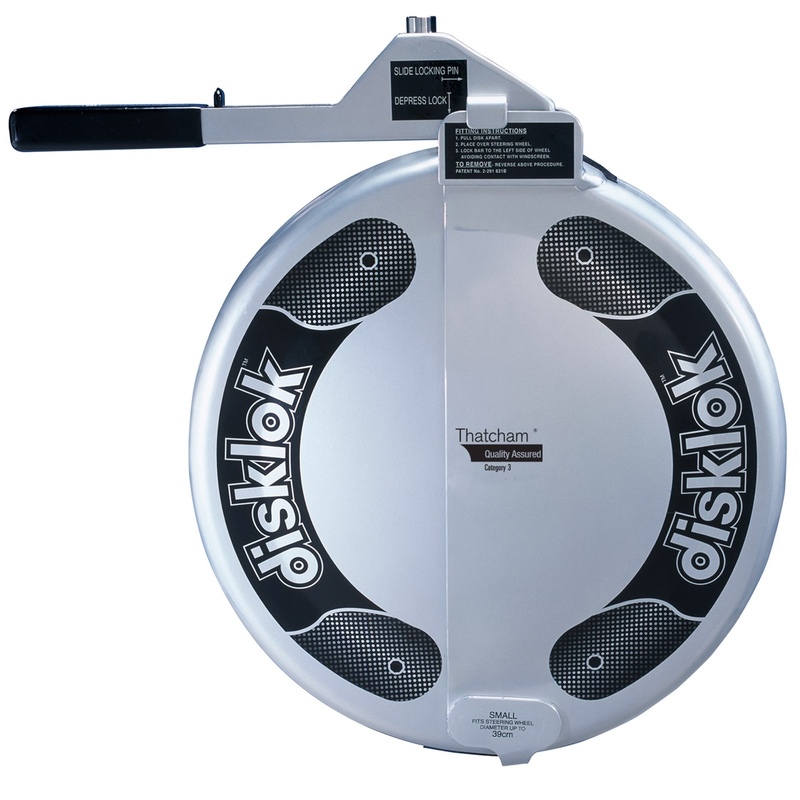 Bought a Disklok as an additional security measure too! Next, it was off to the detailers for a week. Extremely painful time without the new toy to play with!!! Opted for the high end Gtechniq Crystal Serum Ultra as it comes highly recommended and has a 9 year guarantee as long as you look after it properly. Wheels got a dose of C5 Wheel Armour and 2 coats EXO V3. 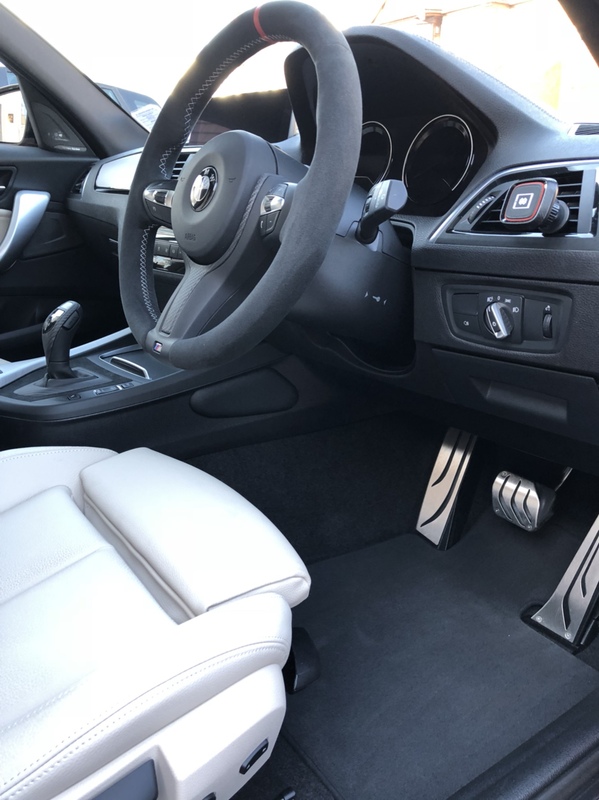 Glass was treated with G1 ClearVision Smart Glass, trim with C4 and the Oyster leather seats were coated with L1 leather guard. Whilst this was not cheap, I am now deliriously happy with the result. 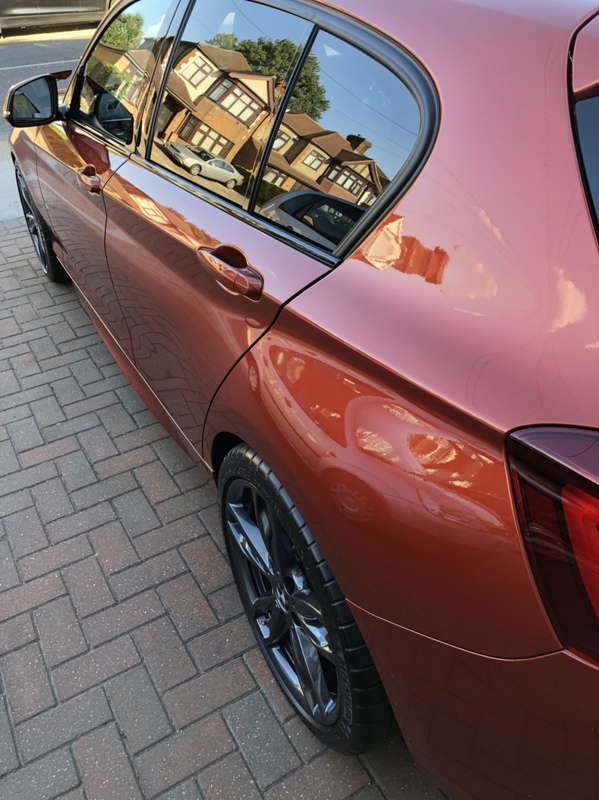 Having washed the car 4 or 5 times now, it is super easy to maintain and once done it looks ridiculously glossy with a deep buttery shine. 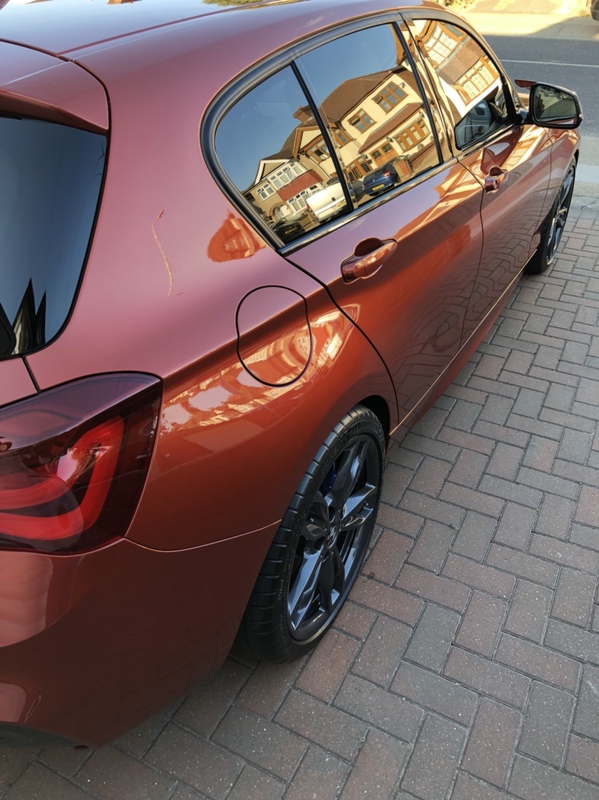 Any fellow SO owners will hopefully testify how amazing this colour actually looks when clean, plus it takes on a whole new persona once the sun goes down. All dark and moody looking! Last edited by Mbee on Sat Aug 11, 2018 11:17 pm, edited 2 times in total. The eagle eyed amongst you may also have noticed that prior to having the paint protection work done, I ordered replacement mirror caps courtesy of AutoID. 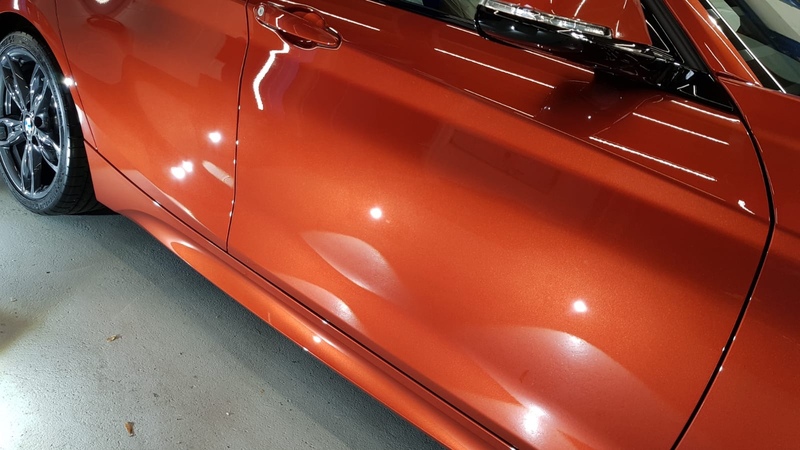 I went for the ever popular M3/M4 performance mirror caps finished in sumptuous Sunset Orange to match the bodywork. They look truly amazing and look very OEM. They really add to the sporty look of the car and I am so glad I ordered them. Very easy to install and from start to finish it only took me around 5 minutes. A word or warning tough, you do need to be brave and yank out those mirrors with a squeegee!! 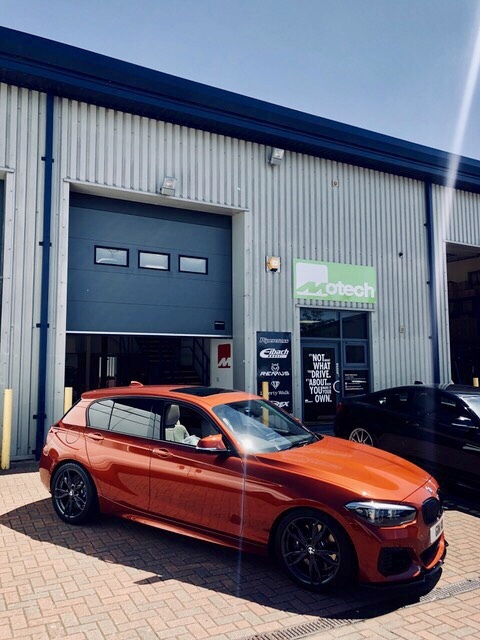 I can totally recommend AutoID and Jack provides a fantastic service to his customers. There are many other options and enhancements you can choose, even fitting at his premises if you prefer. A few weeks after paint protection towards the end of June and time for the first hand wash. Invested in a bunch of detailing products and (in fact I spent a small fortune on dozens of microfibre towels, lotions and potions etc). Ok, so it’s the beginning of July and I’ve been into Motech for the full works (well almost). The Motech stance, incorporating the Eibach/Motech spring kit which drops the car 25mm/20mm plus 15mm/12mm Motech wheel spacers. 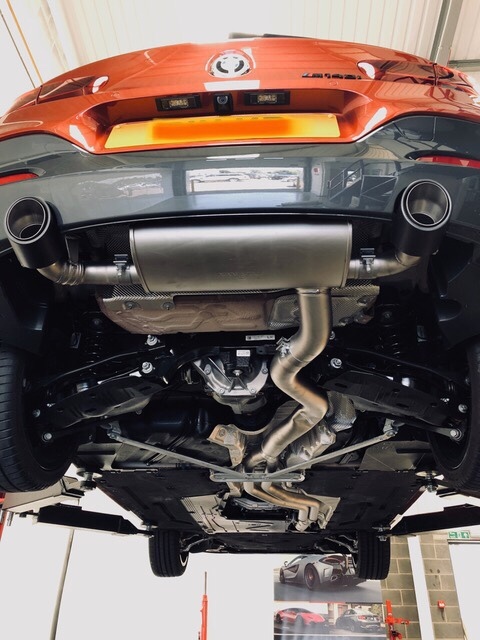 Remus stainless steel cat back sports exhaust with dry carbon exhaust tips. 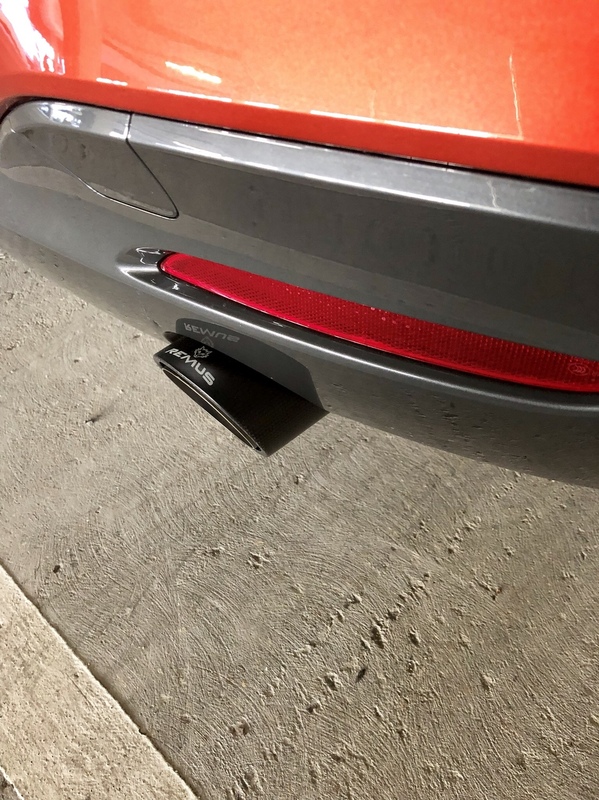 (I ordered this weeks before and had the exhaust tips sent down to my detailers for ceramic coating prior to fitting). 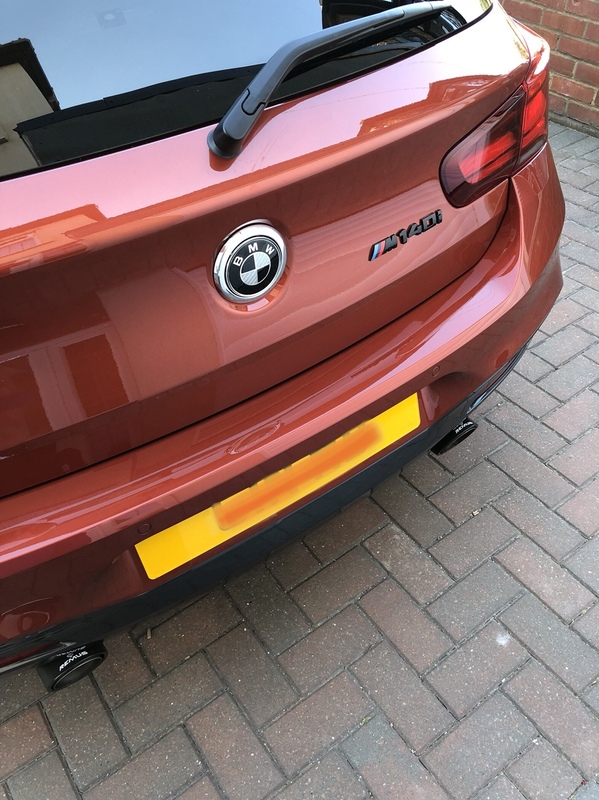 I also ordered the BMW underbody brace from Cotswold and took it along with me up to Motech for proper installation. I forgot to add that before all of this I had already swapped out the stock air filter for a Pipercross performance one and fitted a metallic red start/stop button surround. The BMW stainless steel pedals and foot rest were also done at this stage too! - By the seventh day God had finished his work, and so he rested. I'd imagine you'd be feeling something similar. Lovely colour. 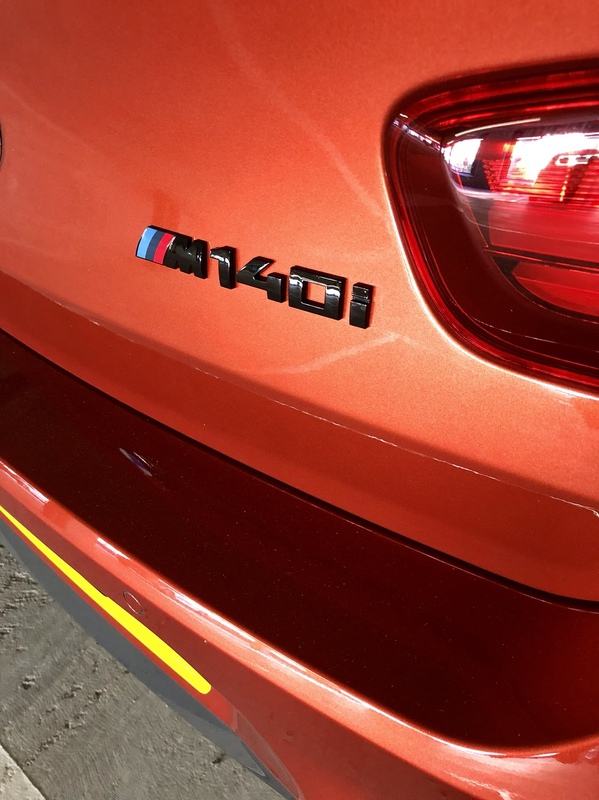 I was tempted with this for my M140i but because I had a VO before didn’t bother. Amazing looking car! Colour looks stunning when clean. 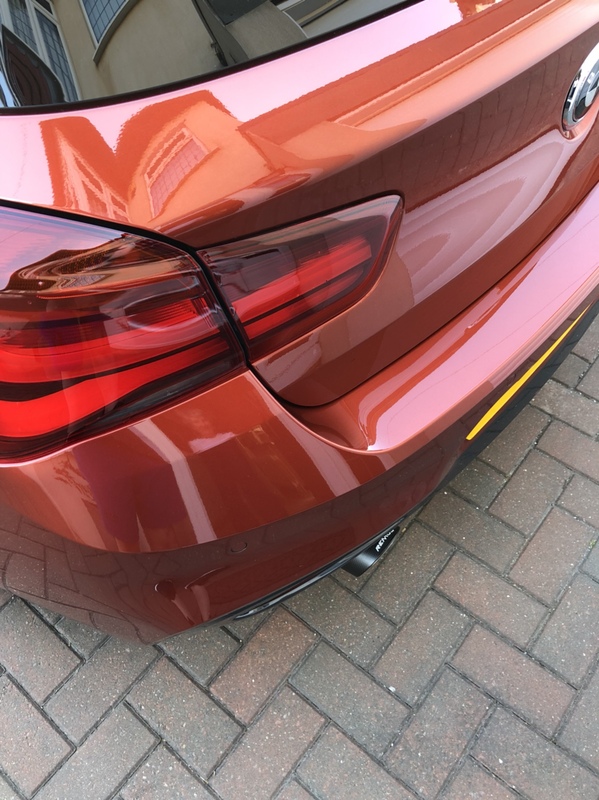 What made you only go with the front splitter as opposed to matching with the sides? I quite like it, makes it look aggressive from the front but more discreet overall. Haha, couldn’t have put it better myself! Not sure when i’ll reach the 7th day yet though. Great spot Tricky, totally forgot about that. Absolutely, Motech added the front Maxton splitter too. Really struggled with should I go for front and sides (like most M-Lite owners do) or not. The easy decision was definitely not to go for the rear corners and centre section, as I really don’t like them. Literally no decision made until on the day itself and even then it was on a knife edge. In the end I think I convinced myself not to have the sides done but if I didn’t like the look of it straight away, I would book a date to go straight back and get them done. One of the niggles besides adding too much black to the colour palette, was that adding the sides might make it even more challenging to get my low profile jack to fit underneath now that it’s been lowered as well. Having had the car looking like it does for 6-8 weeks now, i’m Still happy without the sides. Now that I think about it I guess if I really wanted more black showing, I wouldn’t have swapped the mirror caps out for body colour ones. I’m a huge fan of Mineral Grey and it was also a real quandary on choosing the main body colour for the new car. At the time my current daily was in MG and I had recently watched several Joe Achilles videos once or twice. Totally convinced it was the only colour for me, I placed my order. 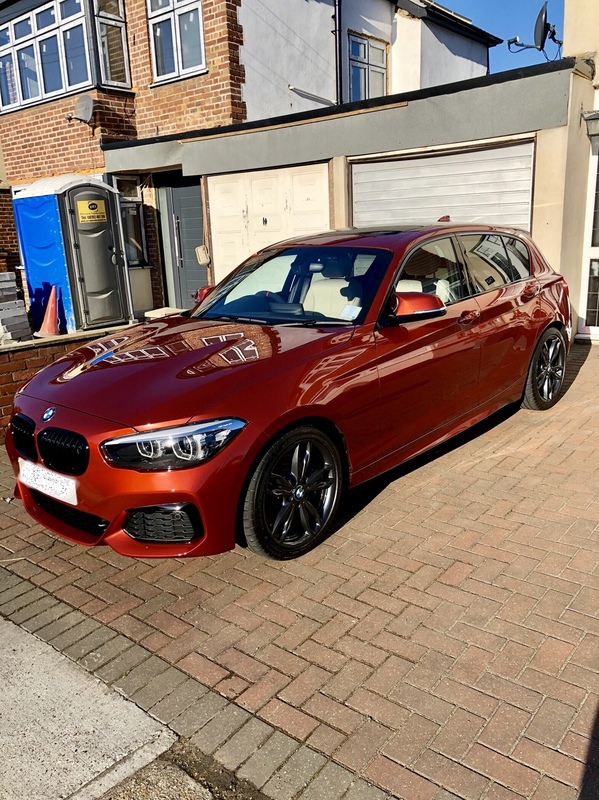 Sadly TRL was backed up with new car collections at that time (mid March), so I price matched with another dealership and the whole order process went smoothly. 4 weeks later I started to have some regrets about going with MG again, possibly because to the untrained eye, some people might not realise I had even changed my car. After all, my licence plate would be coming with me so some of the clues would be disguised. 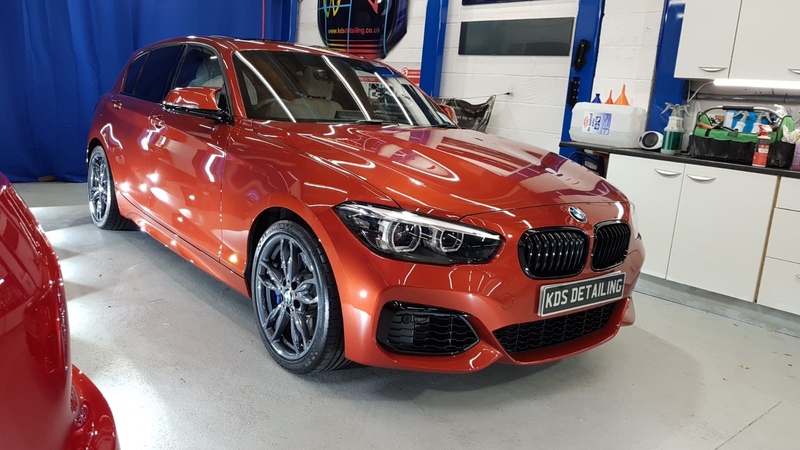 I set about watching numerous videos and looking at some decent pics of Valencia Orange and the newer Sunst Orange colour that BMW had released. In the end I was convinced it was the colour for me and pulled the trigger, altering the order with the dealer. I had said to myself previously that I wasn’t going to do that - hey ho! 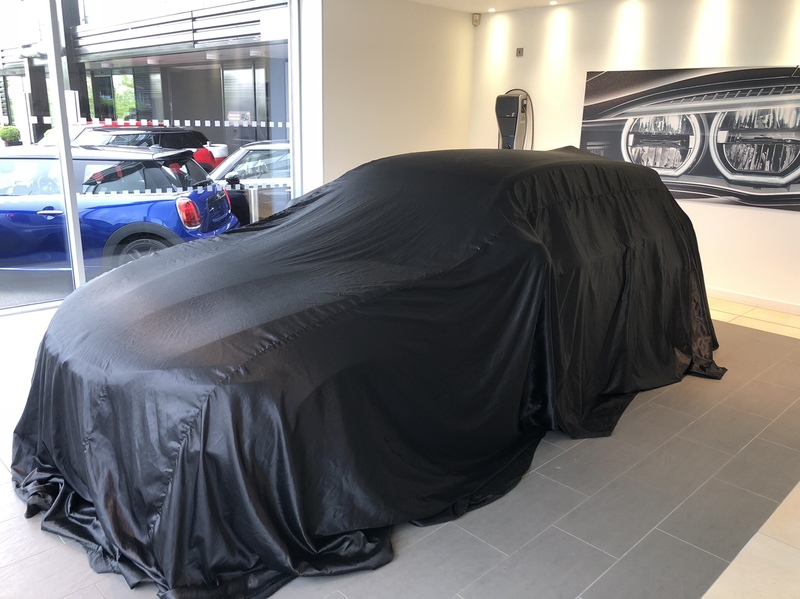 Really happy after that as it didn’t alter the delivery schedule because the order hadn’t quite gone into production at that stage, but wasn’t far off. A week later and I started to panic just a bit. I was worried that it might look a bit too eye catching out on the road rather than the stealthy look you get with MG. I didn’t want to catch the attention of the authorities on the “rare” occasions I might be having a bit of a hoon. Quick call to the dealer to enquire about having electric memory seats added and query if there’s still the option to revert back to MG, and the decision was made. I was too late as it’s just been locked down in their pre-production stage. Today, i’m so so glad about this as the colour is truely magical. The recent fine weather we’ve had has really given me a treat each time I look at the car, especially at different times of the day. 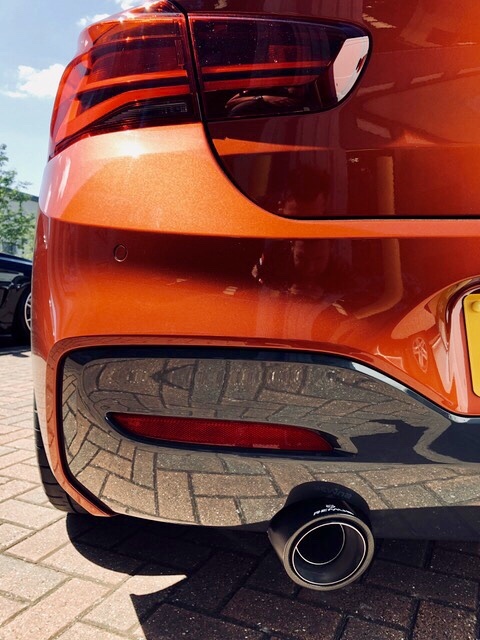 It’s like a motoring version of Jekyl & Hyde - shiny and bright by day and dark and mysterious by night. I honestly couldn’t be any happier with the colour, but would probably say the very same if i’d stuck with MG too! Glad I was brave and made the change when I did. Alcantara steering wheel, stainless steel pedals and a carbon trimmed mega mount!